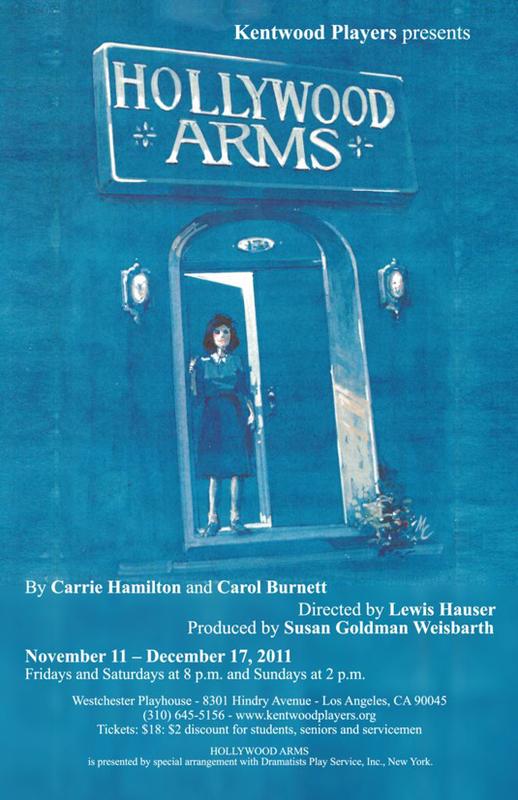 Adapted from Carol Burnett’s memoir One More Time, this play is set in Hollywood, California in 1941 and 1951, and centers on the heartbreak and laughter shared by three generations of women living on welfare in a dingy apartment house. The cast of characters, based on Burnett and her real-life relatives, includes no-nonsense grandmother Nanny; Louise, a beautiful, alcoholic mother determined to be a writer for movie magazines; Jody, an absent father who is struggling with his own demons; and Helen, a young girl whose only escape is the rooftop of their rundown building where she creates her own magical world and dreams of a successful show business career. Helen looks back on herself as a child and wishes she could be that innocent and trusting again. Dixie reminds Nanny her rent is due at the Hollywood Arms. Times may be tough but Nanny remains a kid at heart. Helen loves her Dad, even though he is not around much. dreaming of the day she will be up on the screen. Nanny only wants the best for her granddaughter Helen. Malcolm gets caught doing mischief by his mom, Dixie, owner of the Hollywood Arms. Helen encourages her younger sister Alice to follow her dreams. Laurel Andersen and Francesca Farina portray Helen. Helen shares her dreams with her Dad while looking at the Hollywood sign from the roof of the Hollywood Arms. but life is much different for them now. by Louise (Cynthia Rothschild) when they finally arrive at the Hollywood Arms apartment building. Everyone dreams of a better life while living day-to-day at the Hollywood Arms.